When a ship is about to be christened, there is always a great deal of speculation as to just what the name might be. Famous monarchs have been the prerogative of Cunard; mythological goddesses the choice of P&O; but, for their latest addition to the fleet Fred. 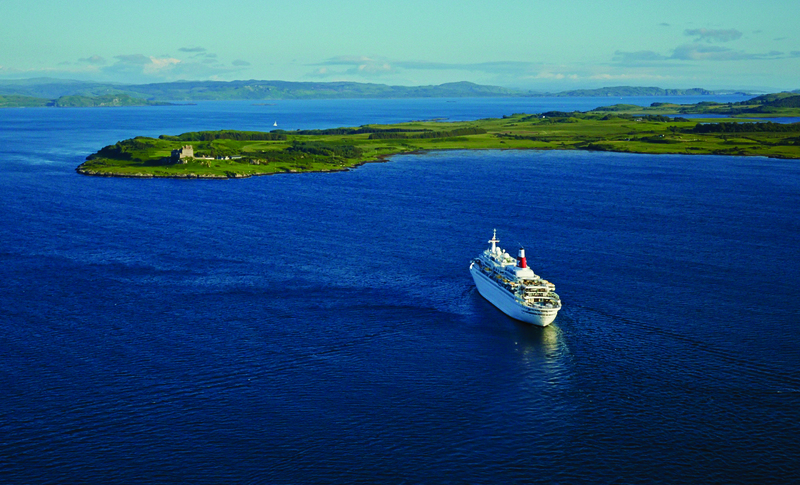 Olsen Cruise Lines chose a warrior queen – Boudicca. This is the first ship to bear this name in the company’s 158-year history, and a departure from the Scottish theme of the line’s other vessels: Black Prince, Black Watch, and Braemar. In AD61, the Queen of the Iceni, Boudicca led her people in a last attempt to preserve their independence against the conquering armies of the mighty Roman Empire. In 2006, she returned to Britain’s shores. However, the arrival of this 28,388-ton vessel has an even greater significance for devotees of refined cruising. As the 20th century was drawing to a close, so too was a dynasty of one of the greatest names in cruising. Royal Viking Line had represented the ultimate in luxury and sophistication at sea but, in 1984, the company was swallowed up by Norwegian Cruise Lines and the legendary tradition of excellence was consigned to the deep.Ten years ago, Fred. Olsen Cruise Lines acquired Royal Viking Star and renamed her Black Watch. This 807-passenger ship instantly set new standards of elegance and spaciousness for the Brit-popular company. Now the former Royal Viking Sky – built in 1972 – has joined the fleet of this Norwegian family-owned company. Having undergone a number of different guises, this sleek vessel was acquired by. Olsen last year from Spanish tour operator Viajes Iberjet, who had operated her as Grand Latino. After a major redesign and refurbishment both in Tenerife and at the Blohm & Voss shipyard in Hamburg, she was re-launched as Boudicca. Not only were her old engines replaced, an entirely new power plant and propulsion system were added. The extensive work included cabins reborn as staterooms with balconies; the removal of a disco and casino to make way for a new library, card room and Lido Bar; and the construction of two brand new restaurants. Omnipresent is the impression of a new ship, rather than a spruced-up old-timer. Employing the creative talents of SPACE – the design consultants who brought a light and airy feel to Black Watch – the consultancy has endeavoured to ensure Boudicca is a paragon. With innovative use of colour schemes and rich materials, they’ve created a feel both stylish and relaxing. The expansive teak-laid areas on Marquee Deck and Sun Deck exude a sense of freedom and space, nowhere more so than on Deck 6, where two Jacuzzis and a Swimex have been constructed aft of the pool. Whilst there is a familiarity with Black Watch, there’s no doubt Boudicca has a personality truly her own, one that is possibly slightly more polished. Nowhere is this more evident than in her array of eclectic works of art, many selected from the private collection of the line’s patriarch, Fred. Olsen Snr. One of the main differences between the two scions is there are two formal dining rooms aboard Boudicca. The voguish Four Seasons Restaurant is a refined room with a pastiche of ash-bronze drapes that tone with the bamboo shades picked out in the chairs and bronze and cream carpet. Whilst possibly not to everyone’s taste, the vibrant Tintagel Restaurant boasts a melange of cerise hues set against burgundy drapes with a contrasting taupe and magenta carpet. There is also the smaller Heligan Room, which exudes a soigné feel with its gentle ash wood and gold fabrics set against a green and russet-gold carpet. Between the Four Seasons and Tintagel Restaurants there’s a well-designed circular buffet. This makes for easier self-service options at breakfast and lunch. There’s also a poolside café for snacks. When it comes to dining, the British palate takes precedence. Menus never conform to that modern taboo of over-imagination and are best described as metaphors for good taste. Sumptuous 5-course a la carte dinners are manicured affairs that allow the executive chefs to demonstrate their culinary prowess that has earned countless accolades. The extensive yet reasonably priced wine selection, served by knowledgeable and obliging Filipino waiters, ensures that whether it’s a Captain’s gala dinner or a less flamboyant occasion, every dining experience upholds the reputation for fine living that is synonymous with an Olsen cruise. In the informal Secret Garden Café, a wood and ivory-theme is complemented by specially-commissioned murals. With Oriental touches, including dark-wood tables with minimalist white cross cloths, this centrally-located room exudes a Zen-like aura that many top-notch London restaurants try to emulate. With panoramic views, this ‘al fresco’ room brings a refreshing ambience to leisurely breakfasts and lunches; as well as Indian, Thai and Mexican-themed dinners. Unlike some lines, there is no supplement for this delightful alternative dining room.